Several merchants of downtown Zeeland are partnering with Kids Hope USA this holiday season to host Feel the Zeel of Giving, a holiday celebration for the entire community. During Feel the Zeel of Giving, which runs from 5:50 to 8:30 p.m. through Friday, merchants will be donating a portion of their sales to Kids Hope USA. The more shoppers who visit Main Avenue, the larger the donation will be. 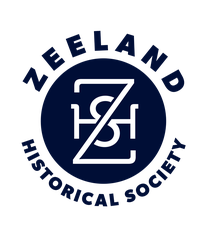 There will be activities and events in Zeeland throughout the week, including horse-drawn trolley rides, free photos with Santa at Marc Photography, strolling Christmas carolers, extended holiday shopping hours, in-store promotions, free children's crafts at the Dekker Huis Museum, Power Dollar distribution and more.